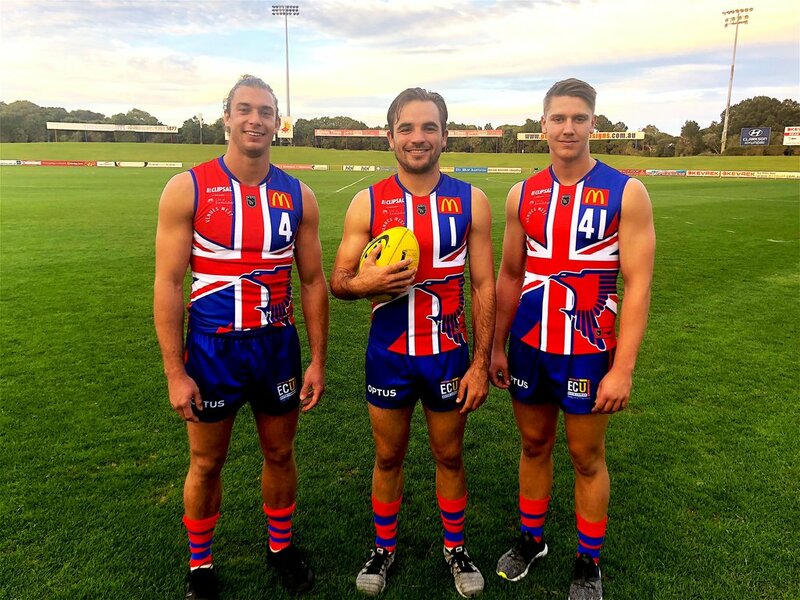 Four ripper WA Football League clashes are set to unfold this Saturday and there will be heaps of activities and competitions all members of the family can get involved in. East Fremantle and Claremont take to Geraldton as part of the WA Football Commission’s ‘Festival of Football’ event being held in the region this week. 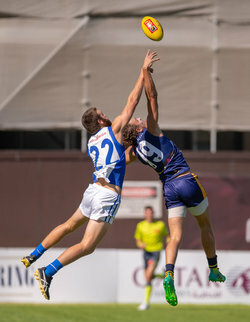 Live score updates and statistics can be viewed via the WAFL app and on both the WAFL clubs Facebook and Twitter accounts. Click here for more information on the ‘Festival of Football’. 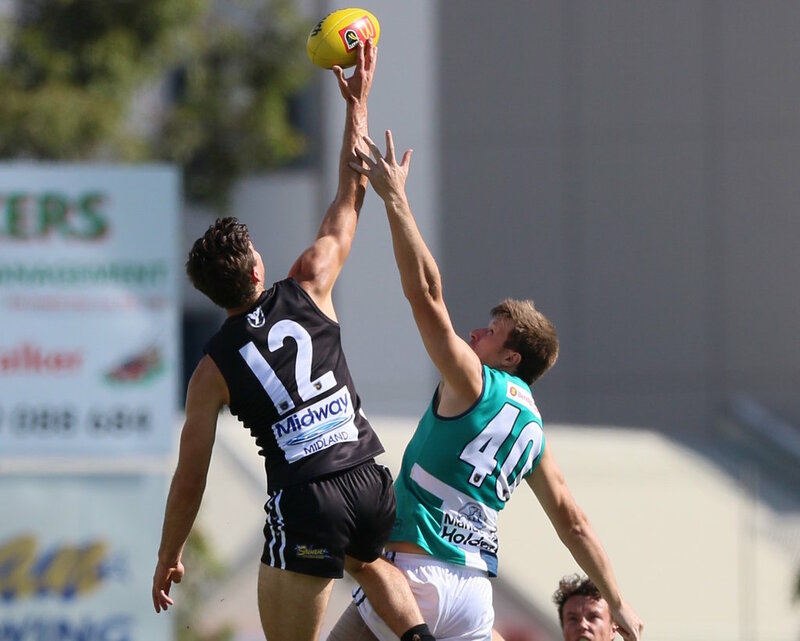 Thanks to Peel Thunder FC’s game day partners McDonald’s Mandurah, Greenfields and Lakelands, all footy fans will receive free entry to this Saturday’s clash against Swan Districts. There will be a McDonald’s Fun Zone at the match, a bouncy castle, ice cream van, Thunderbirds cake stall and the Community News mascot Mr Newsie and Halls Head Community Bank Branch of Bendigo Back mascot Piggy will be roaming the stands. Cheer on the Movie Masters Little Leaguers at half time and the Dance Xpress cheerleaders who will take to the turf at the main break. All footy fans are encouraged to stick around after the game for the ‘Peel Thunder Players Mexican Fiesta’. This is a free event. Pop into the South Fremantle FC administration office and check out their range of merchandise including club scarfs at $10, beanies at $20, tees at $30 and hoodies at $75. A great selection of food will be available at the bar on the day including $10 beef burgers, $10 fish and chips, and the famous Fremantle Culley’s pies and sausage rolls from only $4.50. The ‘Barracks Bar’ in the Convicts Corner will be the destination for supporters of both clubs. Don’t miss the $10 pie and pint special. The club’s new major partner Benny’s Bar and Café will be serving scrumptious meals after the game. All meals purchased come with a $5 pint or glass of wine. The Falcons will be celebrating its diverse community at this Saturday’s International Football Festival. There is heaps happening at Joondalup for the whole family to get involved in. Check out the extensive beverage and food menu at the new Falcons Bar and Café. There will be an $11 ‘bangers, mash and beer’ special up for grabs. The Kid Zone will be open from 1.30pm featuring a bouncy castle, mega slide, face painting and plenty of other fun activities. Hogs Express – Australian / Mexican | Perfect Cup – Coffee | Mr Super Whipp – Ice Cream | MJ’Z Ice Cream – Coffee and Ice Cream | Lolly Bus – Lollies | Bonsaski – Bosnian | Two Queen Pizza – Italian! Click here for more information on the West Perth International Football Festival.